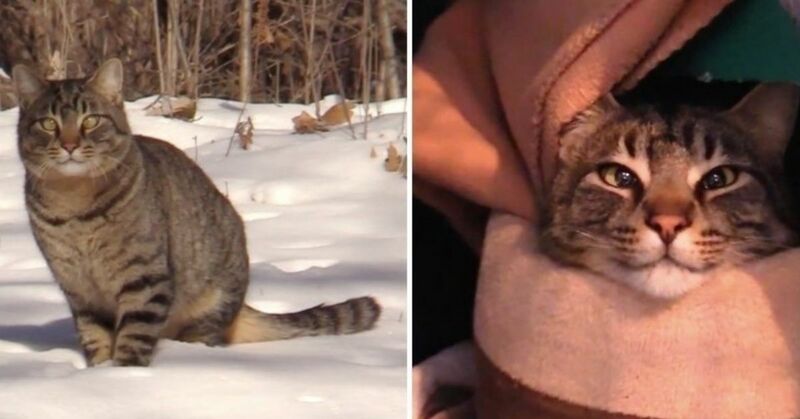 In the freezing cold of winter, two bonded cats were discovered in the snow, trying to survive and stay warm. A woman from Illinois had been feeding them, but they were wary of her and would not come near. She realized that their plight meant they were in mortal danger, so she reached out to Chris (Cat Man Chris) and Jessica. 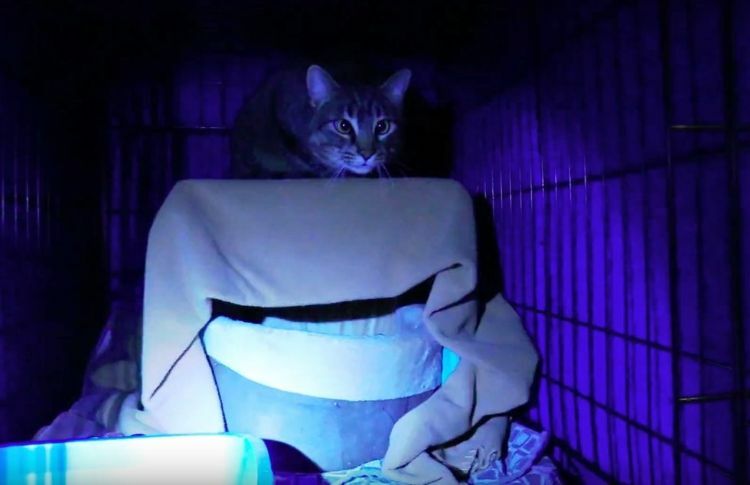 "The two stray cats were living at a trailer park in absolutely horrible, freezing weather. They had been seeking shelter underneath a vacant trailer," Chris shared. 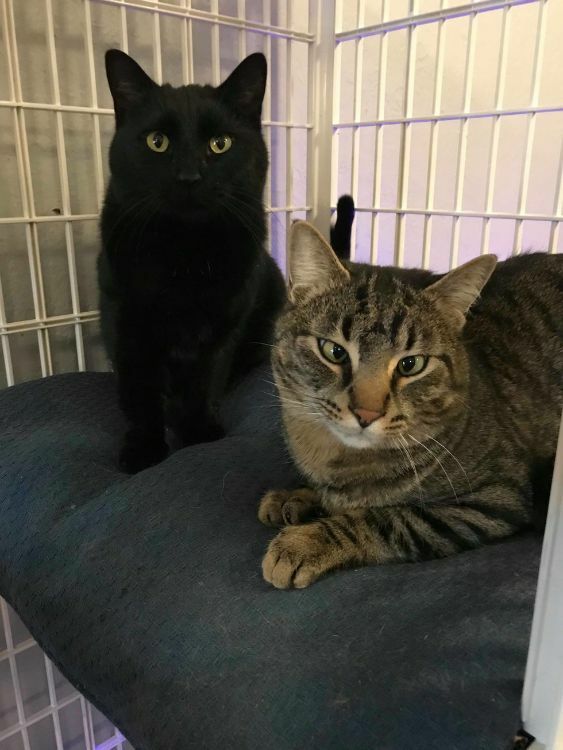 They set some traps with heated beds outside, hoping to catch the cats they named Clarence and Midnight. On New Year's Day, it happened. The lady who had found the cats called Chris and Jessica to say that Clarence had been caught. They took him home and made him welcome in a warm nest. Clarence wasn't sure of what was happening to him and was afraid to let his rescuers touch him. But as his little body warmed up, so, it seemed, did his heart, and soon his new friends were giving him some welcome head scratches. 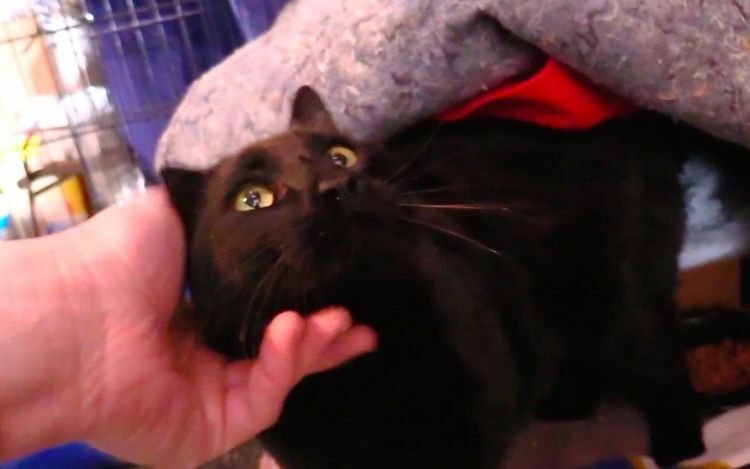 However, his buddy, Midnight, was still out in the cold—but not for long! 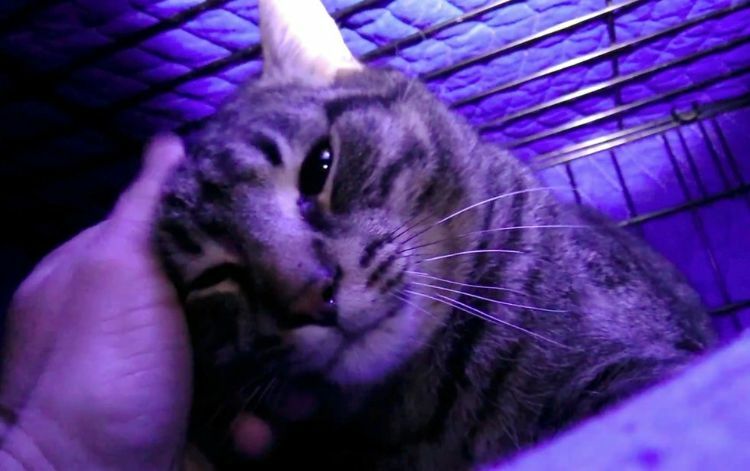 That same day, Midnight was also captured and taken to where Clarence was already feeling much, much better. Just as scared as her friend, at first Midnight wouldn't let the humans touch her, either. Then she saw Clarence, and soon she was enjoying some petting, too. A veterinarian determined that the spayed and neutered cats were about three years old. Taken from there to Lady Moxie's in Woodstock, Illinois, they were on their way to a better life. It took just three weeks to find them a forever home with their new human, Connie, who fell in love with them at first sight. 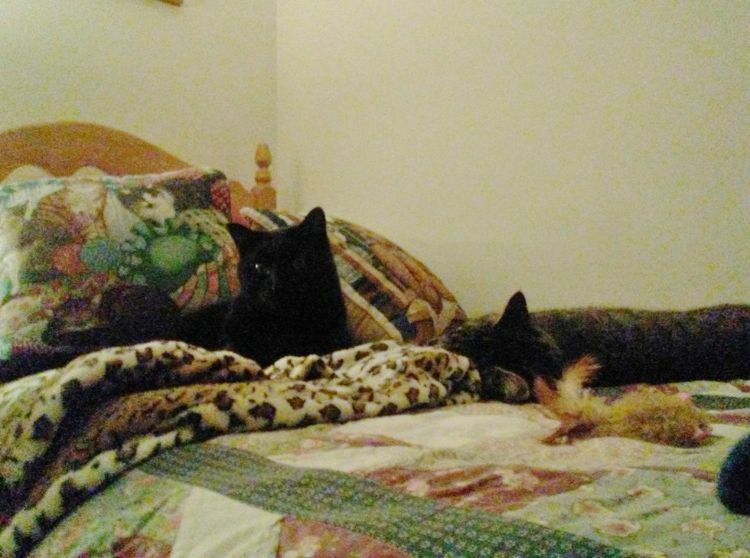 In no time, Clarence and Midnight made themselves at home with Connie. "They belong together," she said. And together they will stay, well-fed, well-loved, and happy. How they came to be out in the frigid weather may never be known. Were they strays? Had they been abandoned? Who knows? The end of the story is a happy one, however it may have started. Watch the video to see their journey and share it with your friends. Stay warm!